bainmack's review"Excellent bang for the buck"
I bought an SM57 primarily to record electric guitars. I spent hours with several other microphones and never really got a sound I was happy with until I tried the SM57. It was the clear winner after multiple position and amp setting checks. I also recorded some vocals with the SM57-- very versatile mic. There's a reason why so many people say so many good things about this mic. It's only a $100! Can't go wrong. 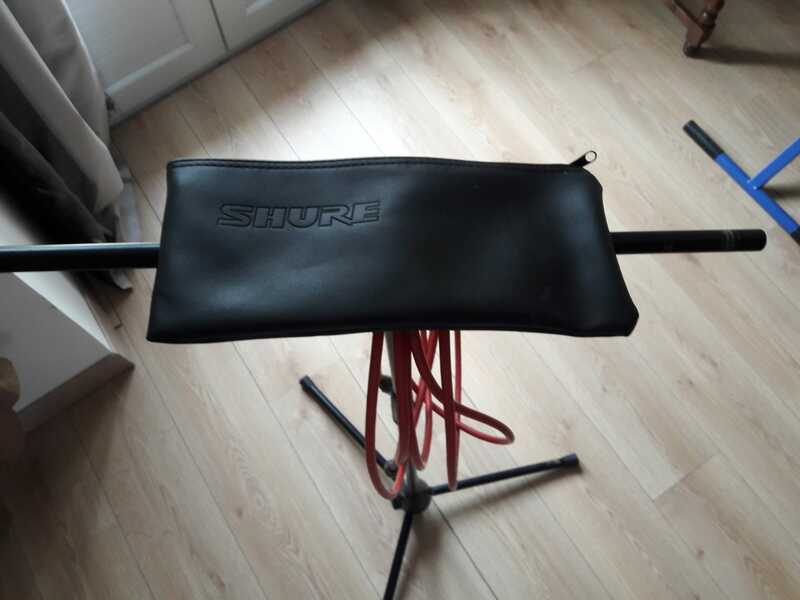 mitchgeist's review"SHURE SM57 is a must have"
The SM57 is a dynamic microphone with a cardioid, directional pattern. Dynamic mics sound different than condenser mics, which are better for capturing hi and low frequencies. A dynamic mic like the SM57 does not need phantom power, which makes it more adaptable to mixers and recorders that don't have this feature. It records what it points to and rejects stuff from the side and from behind it. That makes it great for drums and good for the stage. It can also take very loud sounds without breaking up. Many drummers use it on the kick and snare drum because the sm57 can handle it, without a pad, where a condenser mic's sound would break up with distortion. Because of the tight directional pattern, it rejects bleed from other drums better than other mics. There are some drawbacks to consider about the SM57. While it does not need phantom power, it does need a lot of gain at the preamp when recording softer sounds. That can bring in more noise from the preamp (the Mic itself is generally quiet). The SM57, as mentioned before, does not capture the very low or very high frequencies as well as condensers. You can use EQ to bring up these frequencies if you need to and for vocals and guitar I recommend that if its the only mic you own. If you use it outdoors on gigs make sure to bring along a windscreen. The Shure SM57 is a modern classic microphone, and it is used more prominently in the studio that any other singular microphone. 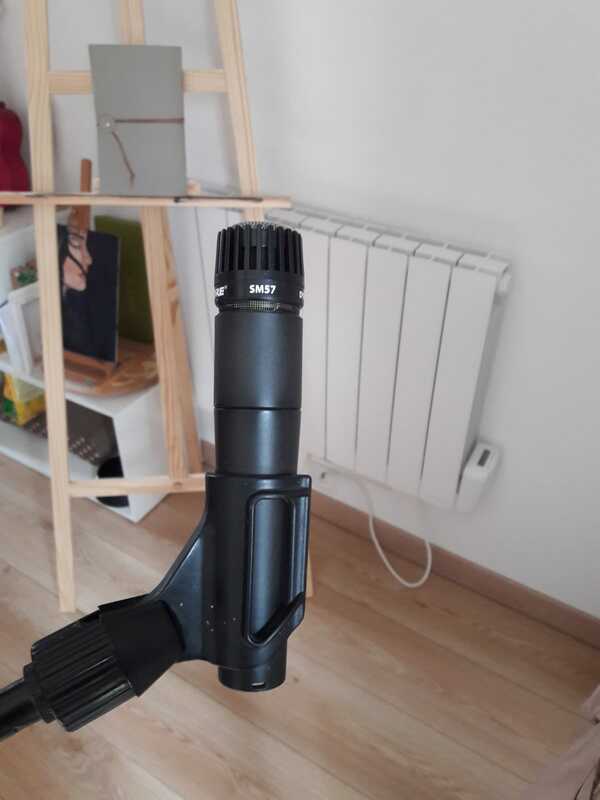 It is a legendary, but simple dynamic microphone, with a frequency response from 40 Hz to 15,000 Hz, cardioid pattern, 150 ohms rated impedance, and the basic 3-pin XLR connector on the base. It is unidirectional in nature, with a very small sound entrance and windscreen. It doesn’t have a particularly flat frequency response, but it sounds very musical, and it can be used in a variety of applications, including guitar amps, vocals, drums, wind instruments, stringed instruments, acoustic guitars, room ambience, and more. What’s great about the Shure SM57 is that it is used almost universally, and it is one of the cheapest microphones you can buy. It is still a quality product from a quality microphone manufacturer (in Shure), and that makes it perfect for so many budgets and applications. However, there are many fake Shure SM57’s floating around, particularly on eBay, and if you are not careful, you will end up with a Chinese-made fake that looks just like the real mic, but sounds thin and tinny. In fact, I owned a fake SM57 for a few months, and I didn’t realize it was fake until I started testing it against another SM57: I knew the mic was sounding bad, but I assumed it was my other equipment, bad mic placement, or phase issues, because I just assumed the mic was real and it fine working condition. Do make sure you do not fall into the same trap, and buy from reputable sellers. Overall, the Shure SM57 is a great mic that belongs in every studio, simply because it is so universally used. 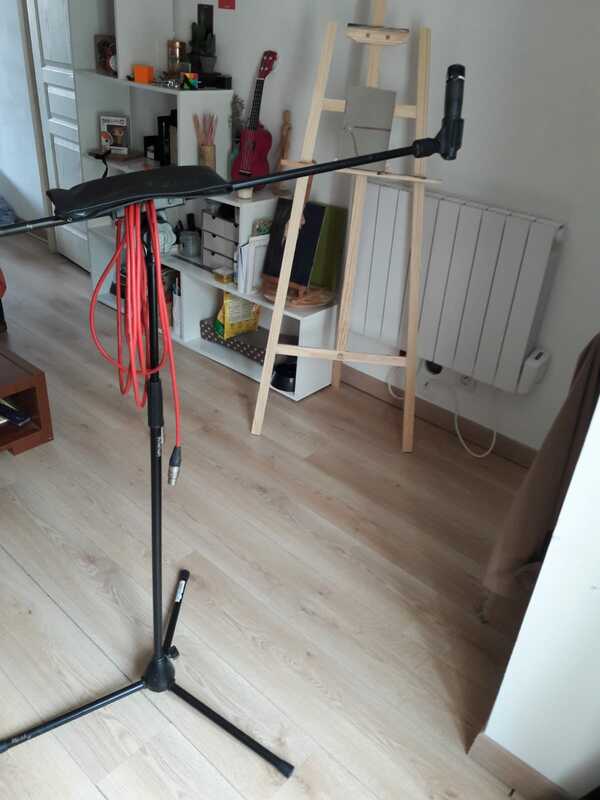 Even if you have better microphones that work better for specific situations, it’s still a good idea to keep these around, because they are always useful and every musician is familiar with them. 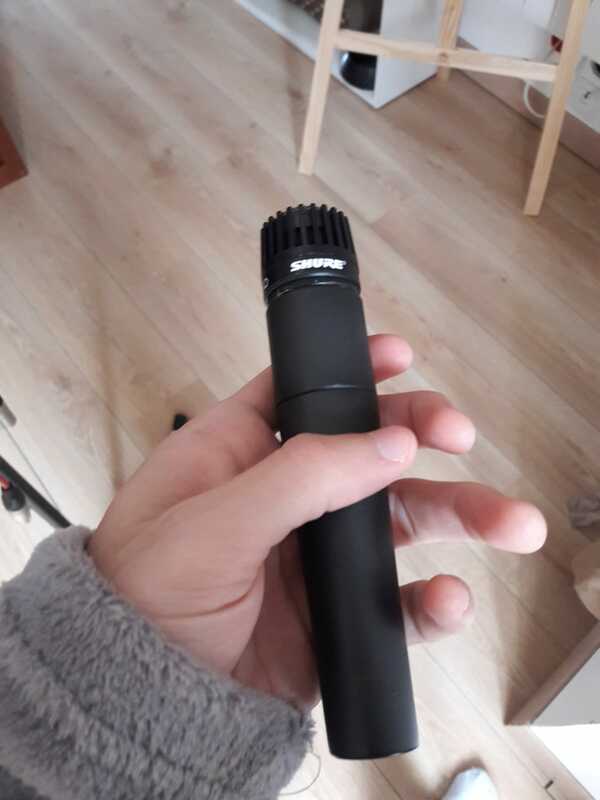 severinsteel's review"A must have microphone!" Well, this microphone needs no introduction. Chances are, most every recording studio has one and every recording studio should. The SM57 is a studio staple for guitar cabs and snare drums. It has a mid heavy but pleasing sound and handles high SPL's very well. It also has a tendency to cut through the mix and just sound good. Aside from its sonics, the SM57 is bullet proof. The joke is that you can hammer a nail with one and then use it on a session. It's a great microphone to learn on as well since it is very straightforward. No finicky polar pattern switches or anything like that. Overall, I don't really have anything bad to say about this microphone. It does the job well. A lot of times, if none of your hi end stuff won't work on a track, a 57 will fit in nicely. Sure, the SM57 doesn't sound anything like a U87, but it has it's place. I'm willing to bet it is the most used microphone of all time. These days, they are made in Mexico so I don't know if the quality, but I currently have 4 of them, and they all sound good. Do yourself a favor and buy one! Shure Incorporated announced that it is offering rebates this fall on four of its products.